"Internationally acclaimed crime writer Jo Nesbø’s antihero police investigator, Harry Hole, is back: in a bone-chilling thriller that will take Hole to the brink of insanity. Fiercely suspenseful, its characters brilliantly realized, its atmosphere permeated with evil, The Snowman is the electrifying work of one of the best crime writers of our time." This is hands down one of the creepier thrillers that I've read so far this year! I first heard about this book thanks to the Read or Dead podcast which is a new favorite of mine. I've had Jo Nesbo's books on my radar but this podcast gave me the push to finally give this author a try. It also helped that there is a movie coming out based off of this book (and you know that I need to read the book first). I'm so glad that I finally gave this author a try because this book was intense! It was the perfect way for me to begin my R.I.P. reading challenge. This book was darker and way more chilling than I expected it to be. It begins with this creepy, straight out of a horror movie feel type prologue that basically set the tone for the entire book. I felt like it was non-stop tension from the very beginning page until the very last page of the book. You've got to enjoy a great read like that! Harry Hole is a great main character to read about. As this is the 1st book that I've read in this series, it means I started smack dab in the middle of it. I found that it didn't matter in the slightest. I love a flawed main character which describes Harry perfectly. I liked the way that this author put out red herrings to keep the reader guessing until the very end. I would think that I had the mystery all figured out, and then the book would take an unexpected turn which would have my re-thinking everything. I never was able to figure out what was going on until the very end. I don't think that this book is for everyone as it was very gruesome at times. It was dark and brutal at times as well. But it was also oh so good! I'm so, so curious to see the movie now as you never know exactly what to expect when a book is turned into a movie. I hope it is just as good as the book! 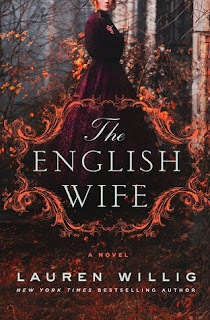 Overall, I really enjoyed reading this book and am eager to read more in this series. I've already got the first book on my shelves so I will probably start at the beginning to see how it all began sometime soon. 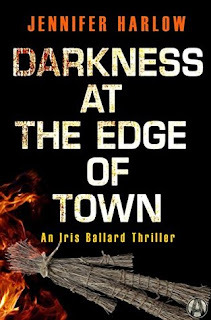 This book was filled with suspense and tension which is exactly how I like my thrillers to be. I found it hard to put down even when I was thoroughly creeped out by it. I feel like this was the perfect way to start of my R.I.P. 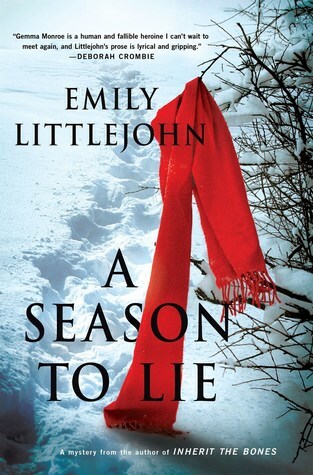 reading challenge as I couldn't have picked a darker thriller than this book. I would recommend this book to other readers but with the warning that it can be graphic at times. Fans of mysteries and thrillers should check this author out! Recommended! Bottom Line: A terrifying thriller that kept me up way too late reading! Disclosure: I checked this book out from my local library thanks to the Read or Dead podcast mentioning it. 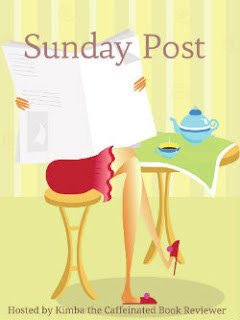 The Sunday Post is a weekly meme hosted here @ Caffeinated Book Reviewer. It’s a chance to share news~ A post to recap the past week on your blog, showcase books and things we have received. Share news about what is coming up on our blog for the week ahead. See rules here: Sunday Post Meme"
Morning! Sundays are fast becoming my favorite day of the week. Football, good food, and lots of time to relax.....what more could a girl ask for? Not much new happened this week besides the usual. My youngest had his best flag football game of the season so far this year scoring two touchdowns (one by intercepting the ball). He was thrilled and it was a really fun game to watch. It was homecoming week for my oldest son which is always fun. He plays for both JV (junior varsity) and the freshmen teams so we spent Friday and Saturday watching his teams play. I love every minute of it! 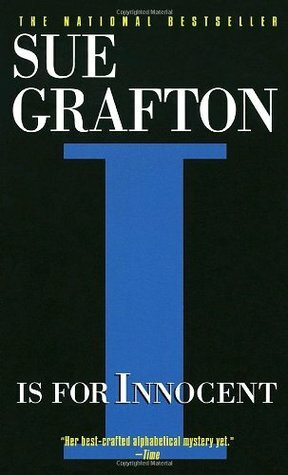 I is for Innocent by Sue Grafton - It was SO great to get back to this series! I flew through the pages of this book, and was almost sad when it ended as it was so great reading about Kinsey's adventures again. 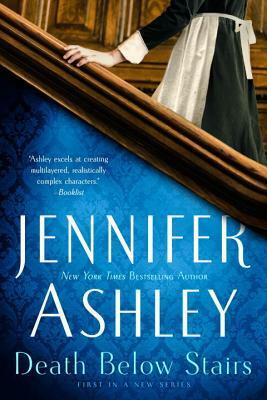 I won't be waiting as long before I continue on with the next book in one of my favorite mystery series! 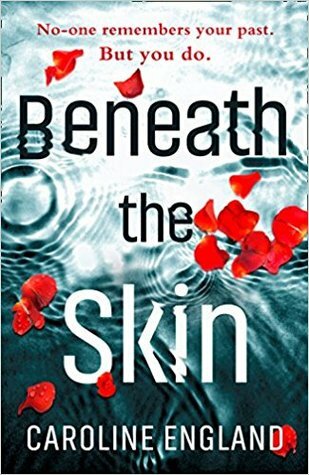 Beneath the Skin by Caroline England - This was a compelling but unexpected read. It is being billed as a psychological thriller but I don't know that I would necessarily agree. Instead it was more of a drama relating to these different families that were entangled with one another in different ways. 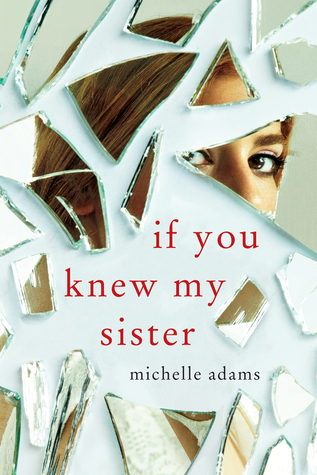 There were a few unexpected twists which is maybe where the thriller label is coming from but I actually thought that this book was more than that. It was one I won't be forgetting about any time soon! 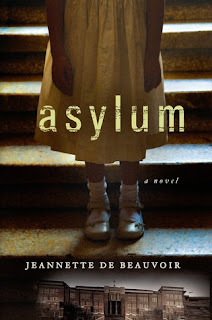 Asylum by Jeannette De Beauvoir is my current print read. Friday night I was trying to figure out what to read next as I had finished the above two books. I had a stack of books laying out on my bed and made my husband (not a reader) choose. He chose this one based off the title alone. Ha! I'm about 100 pages in and enjoying it so far. Death Among the Doilies by Mollie Cox Bryan is my new kindle read. 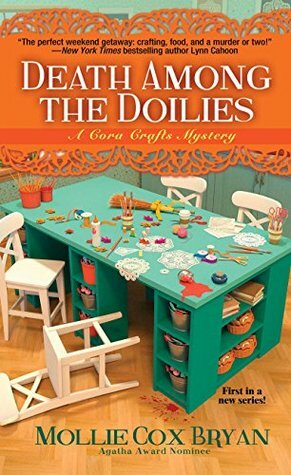 I've been in the mood for a cozy mystery and this is the beginning to a new to me series. I haven't actually begun reading this one yet but have it ready to begin. Plans for today include enjoying the peace and quiet. My little two have gone to a friend's house for the afternoon which is a nice change of pace after having sleepovers here the past two nights. I see a lot of laundry in my future. Blogging and reading as much as possible. Definitely relaxing as much as possible while still getting ready for the upcoming week. No rest for the wicked and all that! I'm off to work on some reviews. Morning and Happy Sunday! It has been another one of those weeks that almost passed by in a blur. Busy busy and all that! I've been working lots of overtime hours squeezed in wherever and whenever I can fit them in. The kids are right in the middle of sports seasons so we usually have something going almost every night of the week. And then I wonder why it feels like I never get any reading done. LOL! A Season to Lie by Emily Littlejohn - This is the 2nd book in Littlejohn's Gemma Monroe mystery series. Last year I read and adored the first book which was Inherit The Bones. I've been impatiently waiting to read this one and am happy to report that it was just as good as the 1st book! I won't be sharing my full thoughts on this one until closer to the release date. 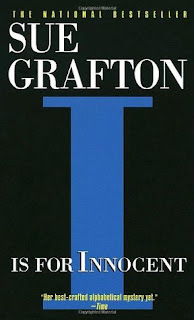 I is For Innocent by Sue Grafton is my current print book. It has been WAY too long since I last read a book in this series. I'm already loving it and I've been squeezing in reading time with it every chance that I get. 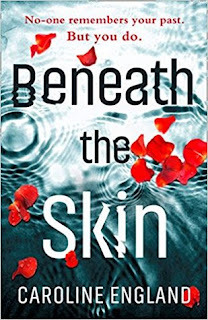 On kindle, I'm getting ready to begin Beneath the Skin by Caroline England. I was browsing through my NetGalley review copies trying to figure out which ones I needed to read soon when this one caught my eye. I love that cover! I haven't actually begun reading this one but will be very soon. So many great sounding books here! I'm thinking that my next print read will end up being one of these. I'm off to work on writing up a few books reviews. I also need to work on my never-ending laundry piles. Other than that, the plan is to veg on the couch and watch football all afternoon. A nap is sounding really good right about now. Definitely some quiet reading time to round out the day! How was your week? What have you been reading lately? Do share! 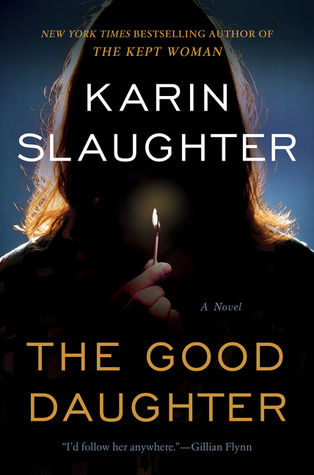 Twenty-eight years later, and Charlie has followed in her father's footsteps to become a lawyer herself — the ideal good daughter. But when violence comes to Pikeville again — and a shocking tragedy leaves the whole town traumatized — Charlie is plunged into a nightmare. Not only is she the first witness on the scene, but it's a case that unleashes the terrible memories she's spent so long trying to suppress. Because the shocking truth about the crime that destroyed her family nearly thirty years ago won't stay buried forever…"
Wow! To say that I really enjoyed this book seems kind of wrong considering how dark it was overall. After only reading two books by this author I have to say that she isn't afraid to make her readers cringe at times. She also writes some very compelling, hard to put down books! As soon as I read the above summary, I knew that I wanted to read this book. Reading through the summary again, it's funny how much that summary doesn't tell you (which is a good thing). I kind of went into reading this book expecting one thing and what I got was completely different. I've got to say that I found this book so hard to put down! This book starts and you've got this instant sense of dread....like something bad is just bound to happen and you are just waiting for it. It created this layer of suspense that really doesn't let up throughout the entire book. I found myself almost tense while I was reading just waiting to see what was going to happen next. I also really loved how this book was set up but I can't say more than that without possibly being spoiler-ey. I do want to say that there is some difficult subject matter and graphic scenes that may be disturbing for some readers. Hence why I said that Slaughter isn't afraid to make her readers cringe. She doesn't shy away from including violence and graphic detail in her books which is one of the reasons that they seem so dark. The mystery portion of this book was very well done. It was almost two mysteries in one as there are some questions remaining of what happened so long ago to the Quinn family and then also the mystery behind the recent tragedy in Pikeville. I'm trying really hard here not to spoil anything so forgive me for being so vague. What else can I tell you without giving anything away? This book is really, really good and has a good chance of making my top reads list for the year. I found myself reading late into the night because I just didn't want to put it down. I also found that these characters aren't ones that I will be forgetting about any time soon. I would actually love if this author wrote more books and turned this into the beginning of a series! Even now I'm really excited to see what other readers thought about this book. I usually try to avoid reading reviews of books until I write my own so I'm definitely planning on checking out those reviews now. Overall, I really enjoyed my time with this book even when it was way darker and more intense than I had expected. I've seen a lot of hype on this book and think that it is well deserved! I myself am eager to go back and read some more from this author's back-list. This book would be perfect R.I.P. reading if you are looking for reading suggestions. Just be warned that there is some difficult subject matter included that isn't always easy to read about. Highly recommended but with that warning to go along with it. Bottom Line: A dark and compelling read that I couldn't put down! Football Sundays are here! This is the beginning of my favorite time of the year. I love the cooler temps, watching football, and of course spookier reading. The annual R.I.P. reading challenge is here and I'm super excited to begin reading for it. I've already pulled off two stacks of books from my own shelves. I'm itching to get to the library though and grab a few from there as well. LOL! So consider this my official sign up post! I plan on reading as many as possible but I'm officially signing up for Peril the first which is just four books. I've actually already finished reading one book that I'm counting towards this challenge so three more to go! 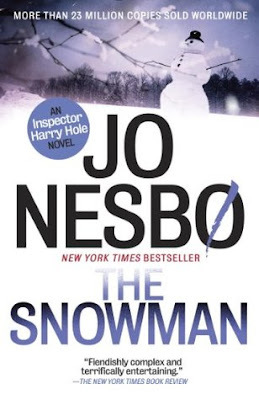 The Snowman by Jo Nesbo - This counts as my first official read for the RIP XII challenge. I first heard about this one on the Read or Dead podcast as there is a movie coming out soon based off of this book. I've got to say that I'm looking forward to the movie now! This was dark and twisted - probably not for all readers but I really liked it. This is my first time reading this series but it won't be my last (and I actually have a couple others in this series already on my shelves). 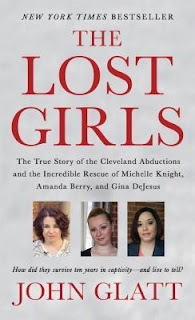 The Lost Girls by John Glatt - This was one of the most disturbing and difficult books that I've read in a long time. Made even worse by the fact that everything was true as this is a nonfiction read. 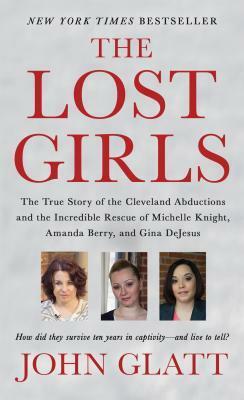 What these three women went through was horrible! I took long breaks while reading this one because it was just all so hard to read about. I definitely won't be forgetting about this one any time soon! I'm currently only reading one book as I haven't yet settled on a new print book to read. I love having an open schedule and being able to choose whatever I like for my next read. That being said this means that I'm also struggling on deciding what to read next. #Readerproblems....LOL! I'm enjoying this one so far even though I'm only about 20% in. I'm hoping to spend some quality time with it this afternoon. All are review copies thanks to NetGalley and the publishers. Am I the only one that is struggling with the fact that some of these are 2018 releases already?!? Crazy! I'm really looking forward to reading all of these but especially the Jennifer Harlow book as I loved the first book in this series! My kindle is overflowing with goodness! Now I'm off to spend the afternoon watching football and probably eating too much food. I've got laundry piles calling my name as well. I'm also going to try and settle on what my next print read should be. (If you are interested in some of the possibilities check me out on Litsy - Samantha.1020) I'm also hoping to write up a few reviews and get some reading time in. Sounds like a perfect Sunday to me!